Sherry Cassedy, JD, MA, Institute of Transpersonal Psychology, and Certificate in Spiritual Guidance, offers spiritual guidance, yoga instruction and seasonal retreats on spiritual topics. She is also a licensed minister and works with couples in preparing and officiating marriage ceremonies. 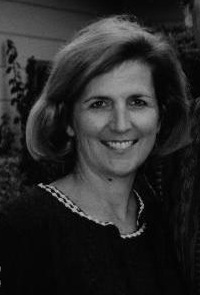 Ms. Cassedy has practiced law and mediation for over 30 years and maintains a dispute resolution practice in Palo Alto, CA (thresholdresources.com). Ms. Cassedy has also served as an adjunct faculty member at Sofia University (formerly the Institute of Transpersonal Psychology), and in the Religious Studies Department at Santa Clara University. Visiting Teacher for Sutra study and Yin Yoga. Visiting Teacher for Morning Satsang and Teacher Training. Institute of Transpersonal Psychology, MA program, “Law & Ethics”, 2007-2013. Santa Clara University, Religious Studies Dept., “Theology of Marriage”, 1999-2004. Co-founder and Board Member, Tanzania Health and Education Mission (tzmission.org), 2007-2013. Board Member, Overcoming Barriers, Inc. (overcomingbarriers.org), 2011-2017. Ms. Cassedy is married to Matthew J. Sullivan, PhD. They have three children, Tyler, Cassedy, Timothy (deceased 2010). And two grandsons, Tyler and Sirina’s son Jack, and Cassedy and Jesse’s son coming soon! Full Moon Satsang: March 1, 7:30 p.m.